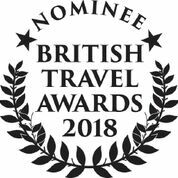 We're proud to announce that Corsican Places has been nominated for Best Small Holiday Company to Western Europe & Ireland, and The Gambia Experience has been nominated for Best Small Holiday Company to Africa, at the 2018 British Travel Awards. 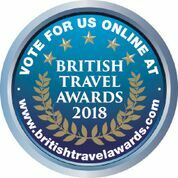 Last year, Corsican Places were honoured to be granted a Silver Award in the same category, while The Gambia Experience were delighted to also pick up a Silver Award in their nominated category, and we hope that with your help, we can go one better this year and pick up gold in both. You can find out more about Corsican Places' nomination here. You can find out more about The Gambia Experience's nomination here. Why not vote for us now? 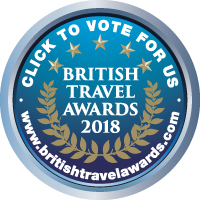 Voting for Corsican Places and The Gambia Experience in these awards won't just benefit us, there are a great range of prizes on offer for voters, including a spa break for four people and a £500 holiday voucher. See the full lists of prizes here. Winners will be announced at a special awards ceremony to be held on 28th November 2018, so in the meantime, we'd really appreciate your votes!